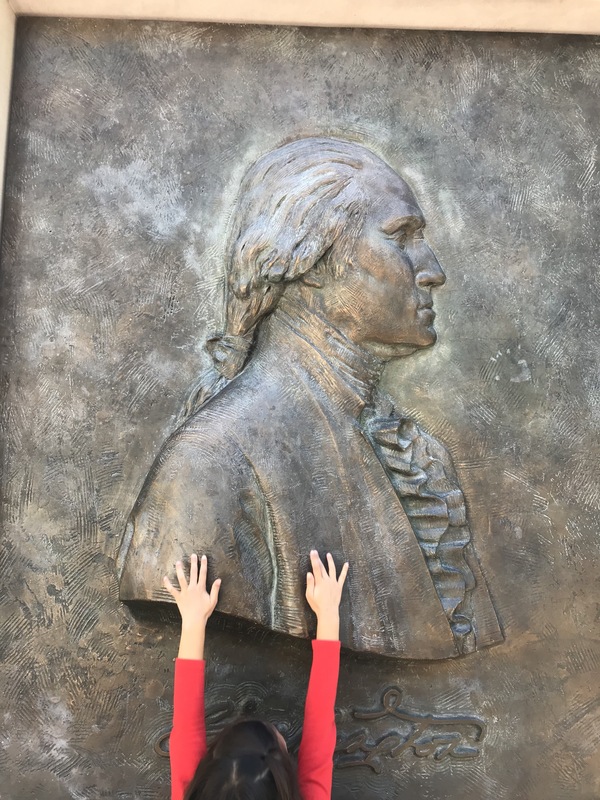 George Washington’s Mount Vernon transports you to life in an infant America. The Estate, including the Mansion, have been preserved to represent life at Mount Vernon during the life of the Father of Our Country. 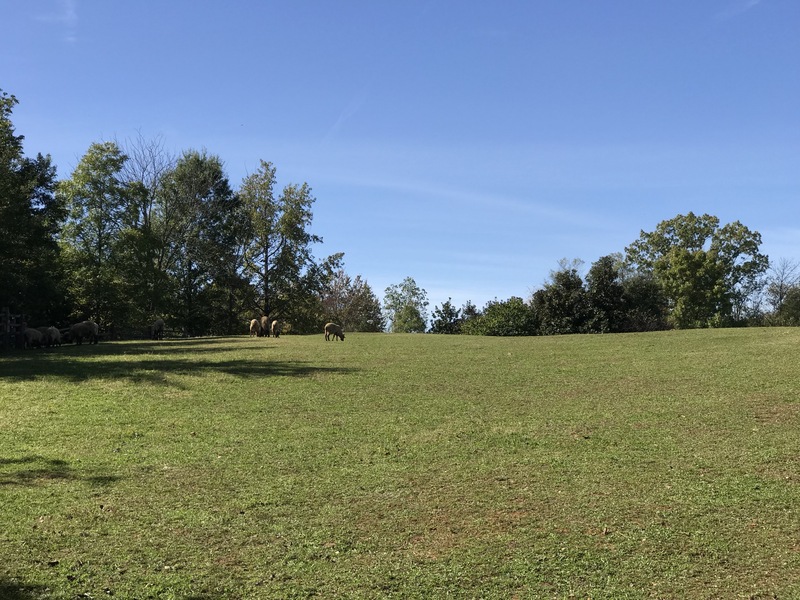 Any time you visit there is enough to fill several hours exploring the Gardens & Grounds, Mansion & outbuildings, Tomb & Slave Memorial, and Museum & Education Center. We were invited to experience the Fall Harvest Family Days this weekend. 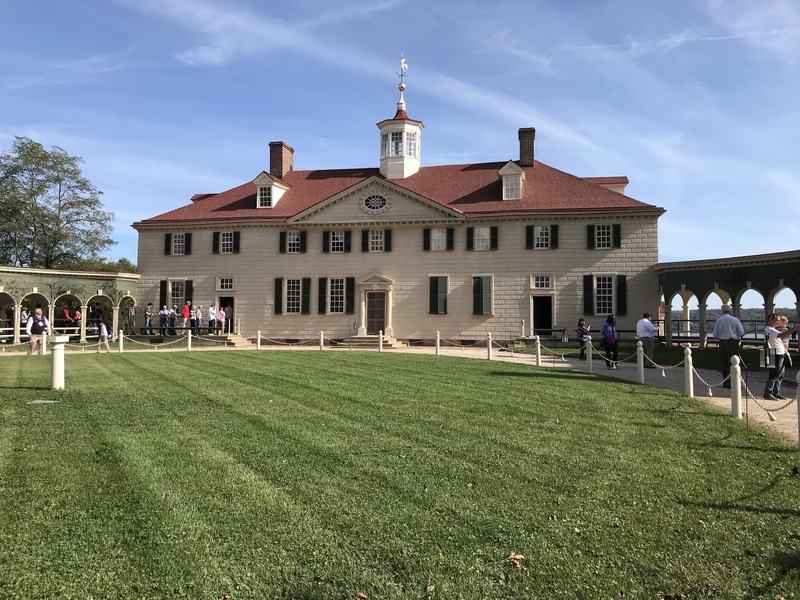 There was so much to do, see, experience and explore that after 4 hours we left knowing we had only scratched the surface of Mount Vernon adventures. The Fall Harvest Family Days offers family friendly 18th century activities including a horse-drawn wagon ride, colonial games on the bowling green, 18th-century demonstrations at the Pioneer Farm, General Washington meet and greets, a straw bale maze, colonial tunes by the Itinerant Band, and half-price sightseeing cruises. 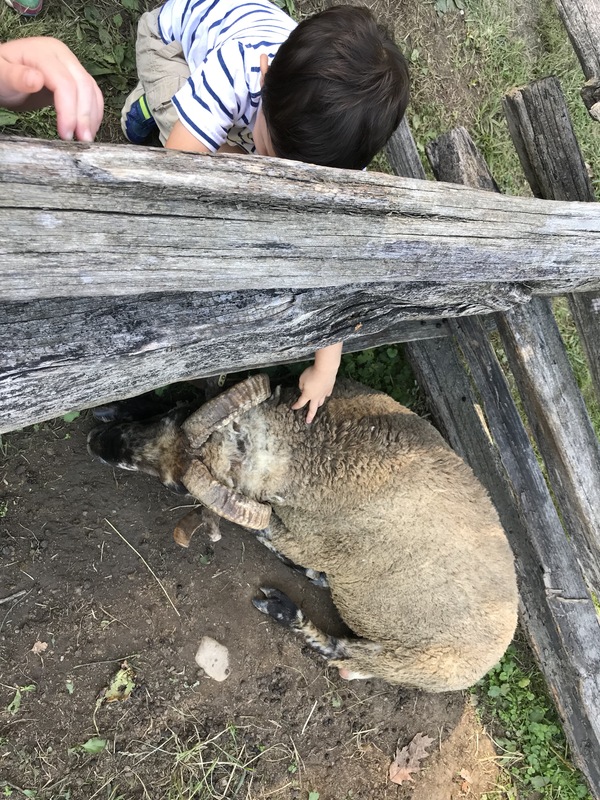 The Pioneer Farm was bustling with 18th century activities including soap making and laundry demonstrations, music and dancing, enslaved worker interpretation, foodways demonstrations, storytelling, cornhusk doll making, fabric making, surveying demonstrations, wheat treading, farrier demonstrations, meet George Washington, and straw bale maze. We were there with children ranging from 1.5 to 6 years old. They were captivated by many of these activities and there was something each of them absolutely loved! The wagon rides and colonial games up by the Mansion were also great for all ages. The lines for the Mansion tours can be boring for little ones so having activities close by helps with the waiting. The Mansion tours are timed entry, but you can enter for a few minutes after your tour time which can shorten waiting in line somewhat. Once the tour begins you follow a path through the different rooms where there are interpreters. The standing room is often small and we entered several rooms while the interpreters were already talking and felt pushed out from behind before the interpreter was done. It was a busy day and we had a bunch of kids in our group which may have factored in. Overall the Mansion tour is interesting and when you think about the historical significance of the place and the person, quite awe inspiring! We found so many opportunities to put our modern life in context. Even our young children could grasp the significant differences in daily life. Many of the interpreters did a great job of pointing out specific differences in daily life from the size of keys to the availability of clothes. We also had some interesting conversations about slavery and how it shaped America while at Mount Vernon. The educational value is compounded by the Museum and Educational Center. We did not have time for the Museum and Educations Center on this visit, other than the occasional pit stop for potties and water refills. However, on our next trip we plan to allow more time there so we can explore more. We are very interested in learning more about George Washington’s dentures that included hippopotamus teeth! There’s no such thing as a perfect family activity. 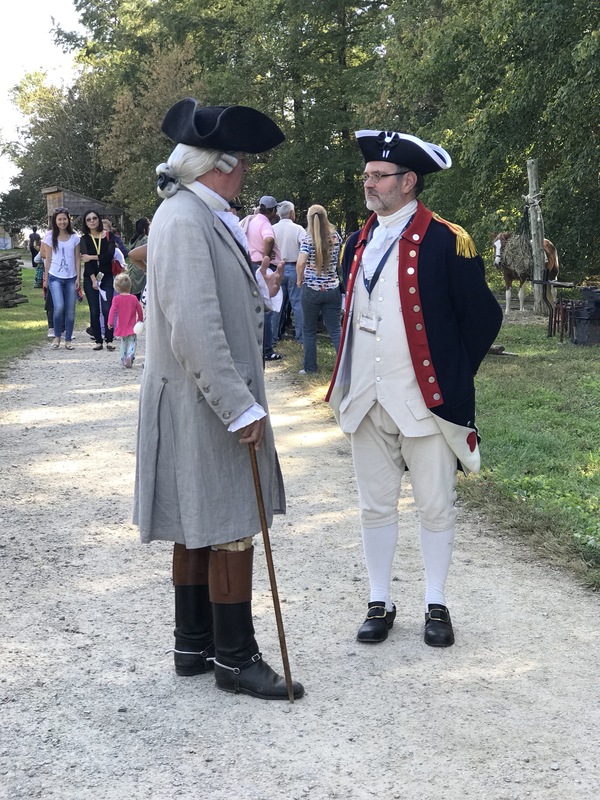 There were so many people enjoying Mount Vernon this weekend (and many weekends) which made parking difficult. The lots fill up quickly so get there early. The crowds seemed to be taking its toll on some of the interpreters as well. The shuttle was not running to the distillery and wharf as usual, but this information was not being consistently conveyed to visitors. There was confusion surrounding the shuttle options and many of the interpreters were impatient and rude to guests who received incorrect information. We observed a couple other interpreters struggling to maintain patience in stressful situations, but as parents we know that loosing your patience happens to the best of us at times. We cannot wait to get back to Mount Vernon! 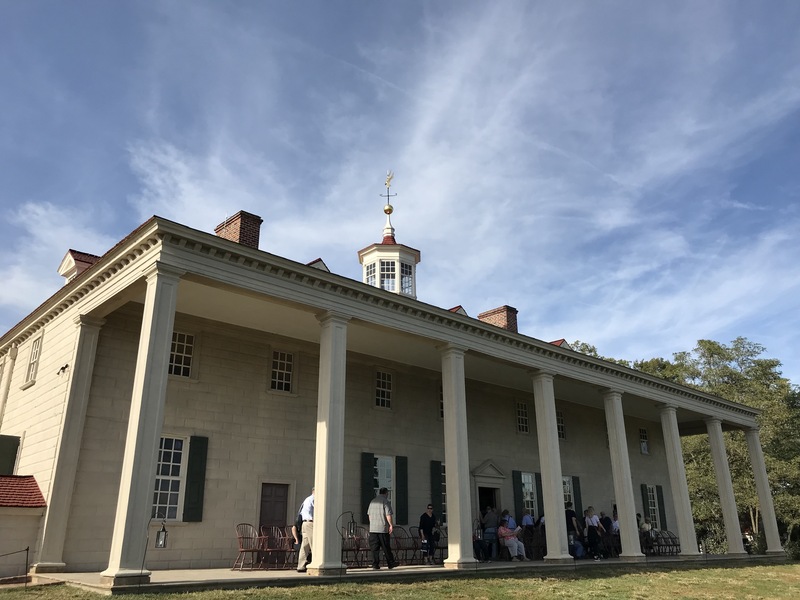 Events coming soon to Mount Vernon include: Trick or Treating, Horses & Hounds, Veteran’s Day, Mount Vernon by Candlelight and Christmas Illuminations. Get there early for easier parking during events and on weekends. Buy tickets online in advance or consider a family membership. Strollers are allowed, except in the Mansion, but the pathways are mostly gravel so a baby carrier or stroller with inflated tires is ideal. There is no outside food or drink allowed, however we had water bottles and snacks in our backpacks that they let us bring in and asked us to keep in our bags. 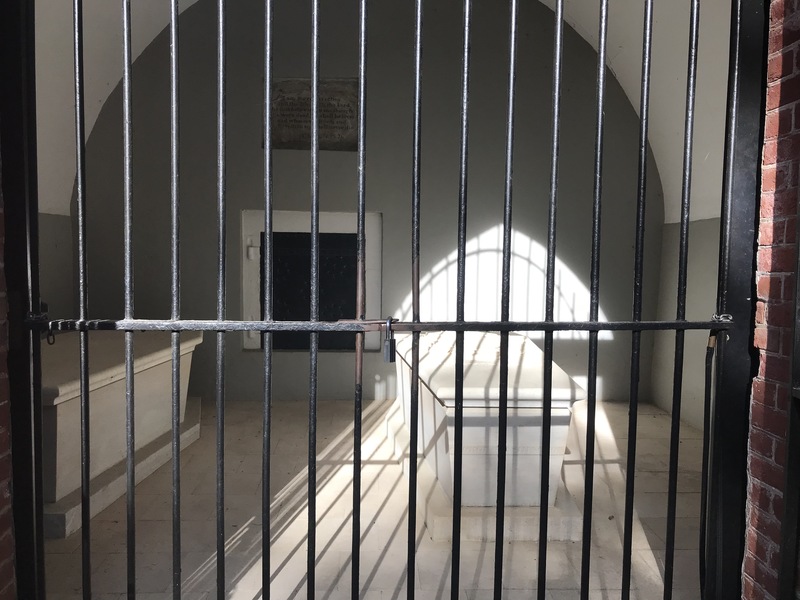 The tomb is a quiet area (We ran off some energy before getting in line). There are no pictures allowed in the Mansion and tour is not very easy with several children or toddlers/preschoolers.